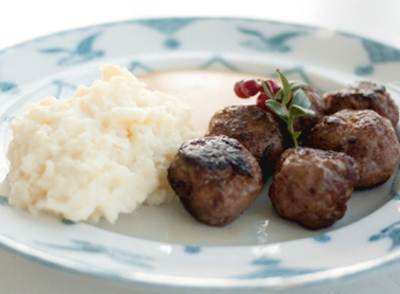 Meatballs: Mix ingredients carefully with your hands and shape into small, round balls. Fry in butter. Brown Sauce: Bring cream and stock to a boil. Let simmer until it thickens.